10th – 11th November 2018: Reclaim the Power national gathering, Sheffield. 15th October 2018: Stop the Start of fracking van blockade at Preston New Road. 5th October 2018: Cuadrilla have announced they plan to begin fracking at Preston New Road in the next week. 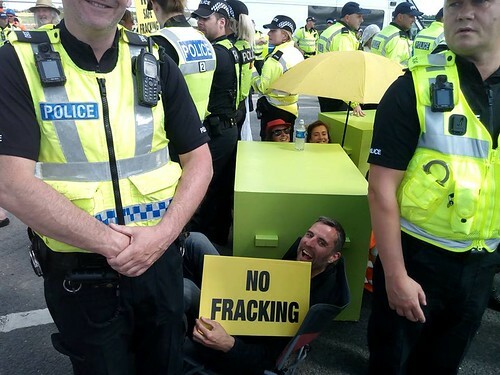 26th September 2018: For the first time, anti-frackers have been sent to jail for resisting the shale gas industry. The full programme from June 2018 is now available here. Time and again, local communities have shown the fossil fuel industry it has no social licence to frack in the UK. But Westminster won’t listen and, the government are continuing their plan to force this dirty drilling on communities. Over the next three months, Lancashire anti-fracking groups are organising a United Resistance of Love and Defiance to counter Cuadrilla’s dangerous fracking plans at Preston New Road. Throughout July, hundreds of people from across the country joined the frontline resistance to fracking at Preston New Road in Lancashire. 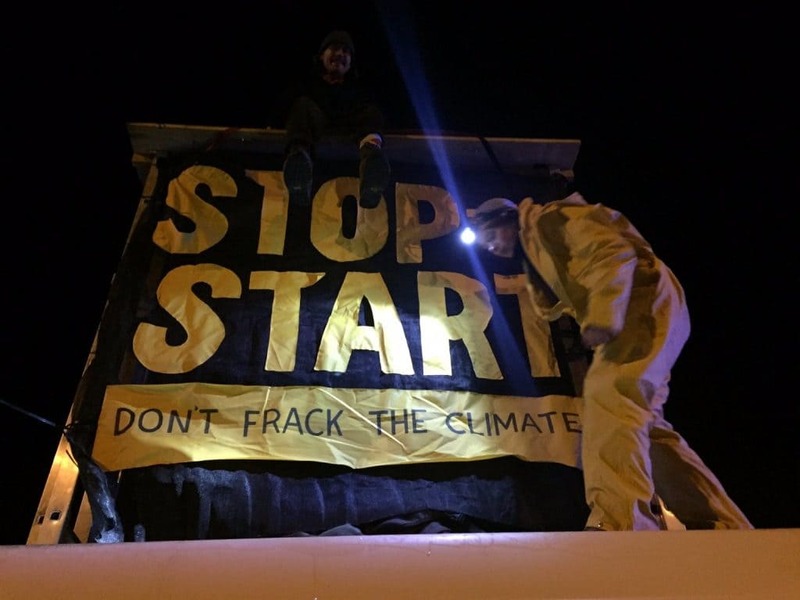 Every working day, affinity groups blockaded the gates to Cuadrilla’s frack pad with their bodies, climbed on top of the fracking trucks carrying equipment or took action along other parts of the supply chain. Mass demonstrations on Fridays saw around 200 people attend the gates each week including faith groups, trade unions, farmers, foodgrowers, families and more. Together with local communities, we delayed Cuadrilla’s operations and sent a message to investors that this industry has no social licence to operate. Reclaim the Power are supporting affinity groups through the legal process: around 100 people face charges for taking action.